The Best People For The Best Products! 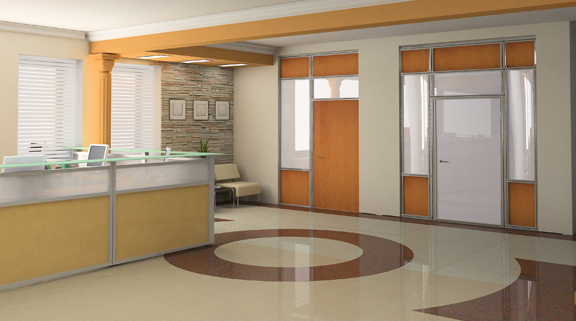 So, it has come time to renovate the flooring in your home or in your business facility. We have all been here before, time to listen to the run around of all the “helpers” at the local hardware store tell you about what flooring you absolutely need. This is an extremely painful process that will leave you rubbing your temples in frustration but, it doesn’t have to be this way. We have an amazing flooring solution that is perfect for both your home and your business facility and we have great deals for our neighbors in Austin! The flooring option we are talking about is the epoxy flooring, a flooring in which has been given the nicknames “worry-free” and “lifeproof flooring” all for good reason. Allow us to tell you exactly how epoxy flooring is able to make your flooring work with you instead of against you! An epoxy flooring is made of two key elements, an epoxy resin and a hardener. The process of creating the epoxy floor usually starts off with the preparation of the concrete slab and then the mixing of these two key elements. The epoxy resin is typically 2/3 of the formula while the hardener makes up the final third. They are mixed in a five-gallon bucket with an electric drill in most cases and allowed to sit for five minutes before the application begins. After the curing process has been completed; typically takes about 72 hours; the material that is left behind is a super tough synthetic plastic-like material capable of handling up to 3500 psi. For further durability, a top coat is typically applied on top of the epoxy flooring. This top coat can reflect light, resist chemicals and even stains. 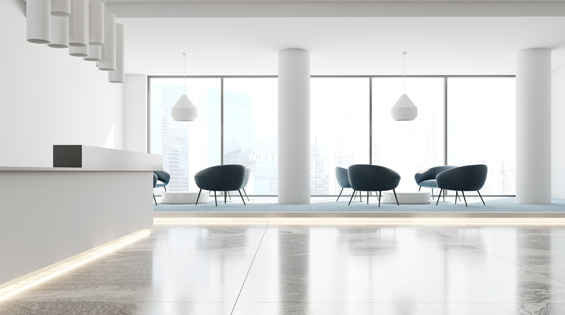 Are you looking for flooring for both your home and business facility? Why not knock them both out with one whack? Don’t worry, there are many different types of epoxy flooring systems so it is completely normal to use the same flooring in your home as the flooring you have in your facility. Epoxy flooring in Austin can be customized in a variety of ways so you won’t ever have to worry about your home looking way too industrial or your facility looking too cushy. Below we have gathered a few of the most popular types and applications of epoxy flooring in Austin! 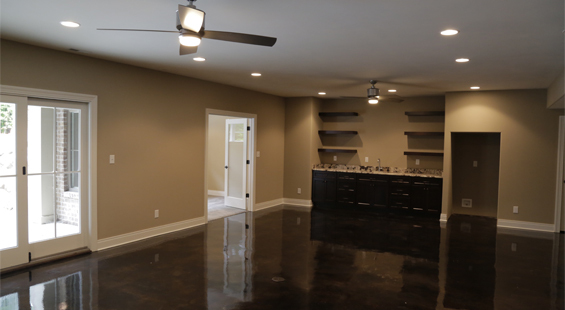 The garage is an area that most people hate for its ugly and drab appearance but with a garage floor epoxy, the hate you have for your garage will almost instantaneously disappear! 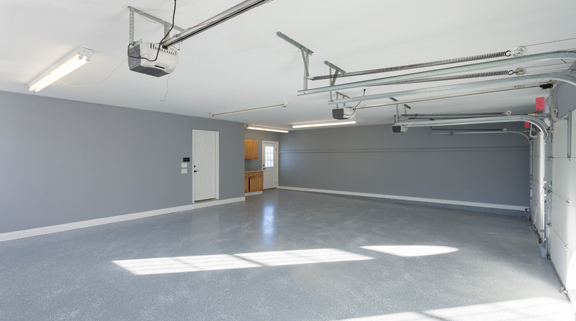 Garage floor epoxy can make the garage more welcoming, brighter and even easier to clean. You can choose from a ride range of colors, flakes and even metallic pigments, we will talk about metallic epoxy soon! With a garage floor epoxy, your neighbors will turn green with envy every time you open up your garage door! 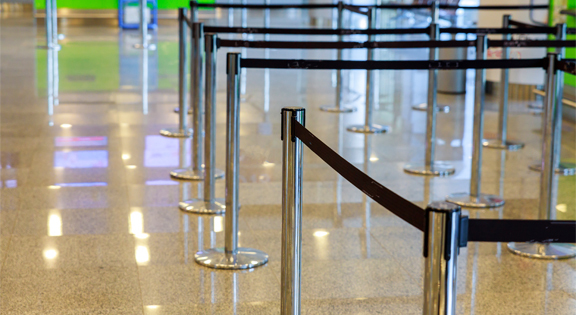 Commercial facilities have some of the most strict guideless for flooring ever. Not many floorings are able to make the cut but epoxy flooring in Austin sure has! Epoxy flooring is a USDA approved flooring, so it can be used in facilities that handle food, beverages and even can be used in the medical field. This is because commercial epoxy flooring has a seamless top coat that is easy to disinfect and doesn’t offer anywhere for germs or dropped food to hide and become dangerous. As we all know, industrial facilities handle objects that are both hazardous or have an extremely heavy height so flooring in these facilities needs to stand up to some pretty insane conditions. With an industrial epoxy floor coating, your facility will do just that. With a weight tolerance of up to 3500 psi and the ability to withstand the adverse effects of heavy foot and vehicle traffic, the impact from objects that are dropped, and even the use of heavy machinery. With an industrial epoxy flooring in Austin, your flooring won’t falter no matter what you throw at it, literally. There has been a common misconception throughout the years regarding epoxy flooring and that misconception that epoxy only belongs in industrial facilities and garages. This is not true at all! Epoxy flooring in Austin is perfect for homes as it is able to resist scratches and abrasions that are brought on from your children playtime or even your animals. Epoxy flooring is also one of the most customizable flooring options on the market today with a wide selection of colors, metallic pigments and even the ability to place emblems right into the floor! The metallic epoxy floor is one of the most unique and sought after flooring options available on the market. 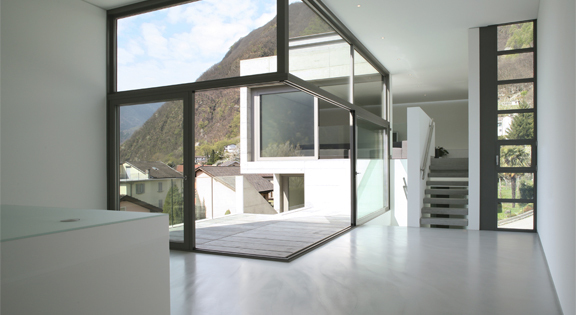 Unlike other floorings, metallic epoxy doesn’t sacrifice any of its strength for beauty. We will only use the 100 percent solid epoxy system for this type of flooring so you can enjoy industrial strength on your flooring that mimics some of the most exotic effects. Metallic epoxy is able to mimic the effects of lava flowing, waves crashing on the beach or even the effect of a cloudy sky. Metallic epoxy will make your flooring the topic of your next gathering, guaranteed.